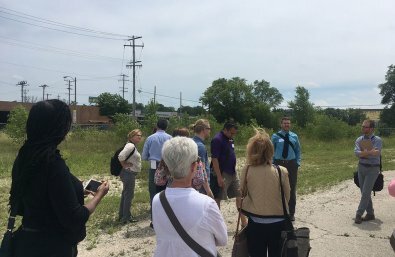 This project will help transform a blighted parcel in Milwaukee’s 30th Street Corridor, which has suffered from historic flood events in 2008 and 2010 and disinvestment in recent decades, into a showcase for green infrastructure and other green technologies. The Redevelopment Authority of the City of Milwaukee (RACM) and NWSCDC have raised $534,000 from the EPA, MMSD and GLRI to remediate the site and install green infrastructure. The support of FFLM is critical to include community involvement and education in the effort.